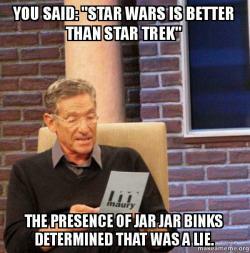 Are you a Star Wars or a Star Trek person?? Let me know in the comments below! Previous PostThe Same RoutineNext Post15 inspiring quotes by Martin Luther King, Jr.
Lol yeah that one’s hilarious! Yeah a lot of people do! 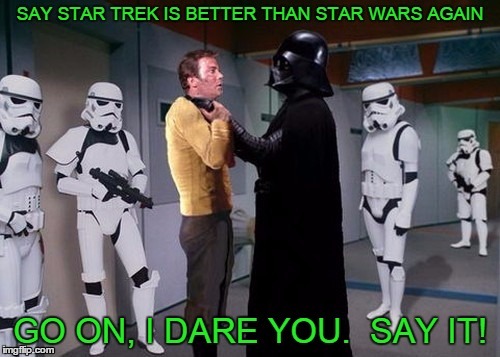 I like Star Wars a lot, but I’ve never seen Star Trek so I guess I’m a Star Wars person. Those memes are A+ by the way. Sorry I’ve ranted! 😂 Must be quite sensitive on this subject. Both – and Beatles and Stones! A lot of people seem to love both! Haha. I am neither! Haha. Lol it’s good to be an oddball sometimes! 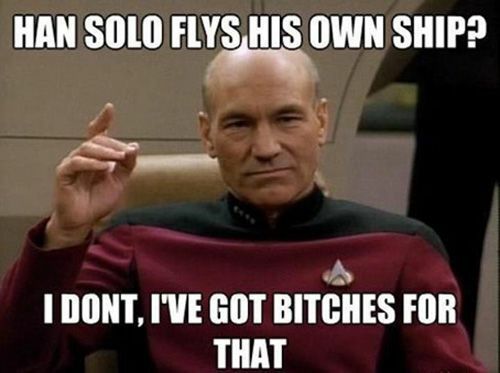 I hope Han Solo is one of those characters he’s great! I’m a big fan of both, and the thing about the debate that has always struck me as funny is that they’re so different. Yes, there are similarities, but to me there’s an apples and oranges quality. Yeah I totally agree they are way more different then similar. Thank you so much I’ll definitely check it out!! 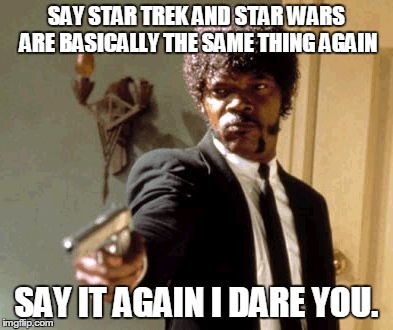 I like them both, but not the old Star Trek. Yeah I didn’t like the old ones too much either. I’m diggin’ this post. I’ve never understood why people feel they can only like one. I’m a nerd. I like both. My mom’s a big sci-fi nerd, so I grew up on sci-fi. Yeah you can definitely enjoy and appreciate both without choosing just one! 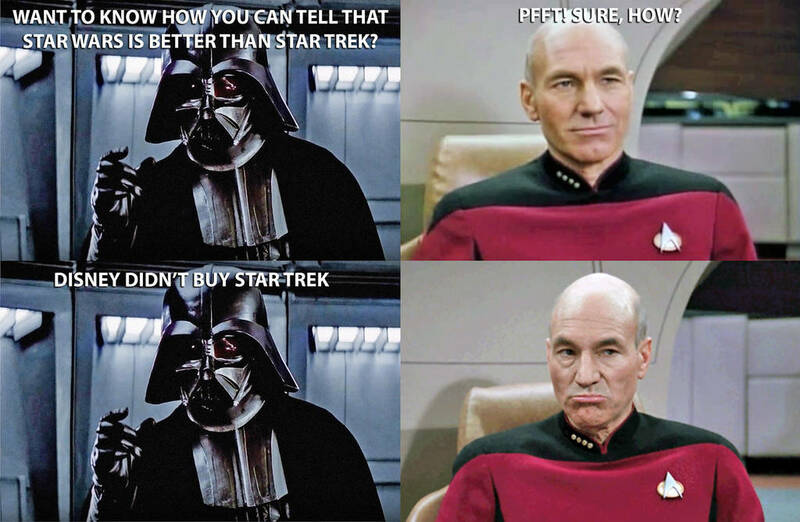 Star Wars i love but Star Trek i have to concentrate. Me no like concentrating. That being said i do have a little place in my heart for the Original Series.